... has succeeded in mobilising people throughout Europe who want to demonstrate their commitment to a peaceful EU. The idea was created in Frankfurt. 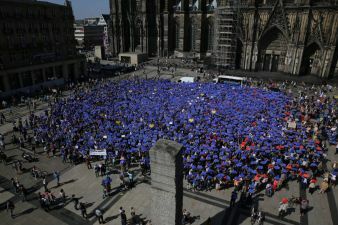 In just a short space of time, the idea created by a married couple of lawyers based in Frankfurt has succeeded in mobilising people throughout Europe who want to demonstrate their commitment to a peaceful European Union. The new initiative known as “Pulse of Europe” has been staging rallies in various European cities at 2pm every Sunday since February 2017. “Connecting“, joining forces, engaging in dialogue – this is more important now than ever before! We live in an age where protectionism is rearing its ugly head at every turn and people are struggling to make ends meet in their ailing economies. Many fear the consequences of Brexit and the unpredictability of US President Trump. Others are being plunged into desperation through war (not only in Syria) and terror. Amidst all the doom and gloom, we should not, however, lose sight of the many rays of hope and positive acts of kindness. There are also glimmers of light from an economic perspective. Germany, for example, is currently flying, with GDP growing for the seventh consecutive year. 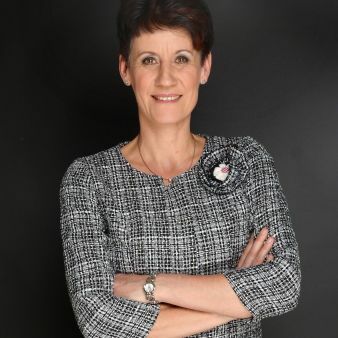 German manufacturers are a leading force in the field of technical textiles and fibre-based materials (global market volume: US$ 163bn) and, according to the recent “Internationalisation Study” conducted on behalf of the German textile association Südwesttextil and the Baden-Württemberg Alliance of Fibre-based Materials (AFBW), Germany ranks second only to China. 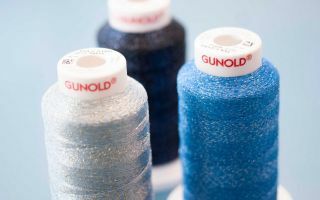 The study concludes that globalisation offers huge opportunities for suppliers of technical textiles and fibre-based materials, not just in Germany.